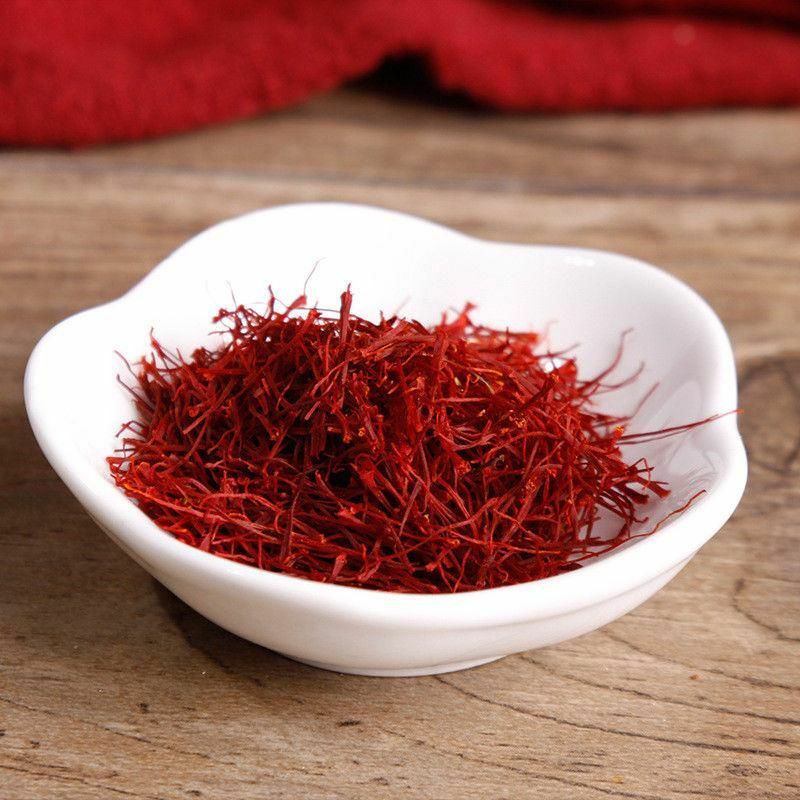 The flower stigma are composed of many essential volatile oils, but the most important being safranal, which gives saffron its distinct hay-like flavor. 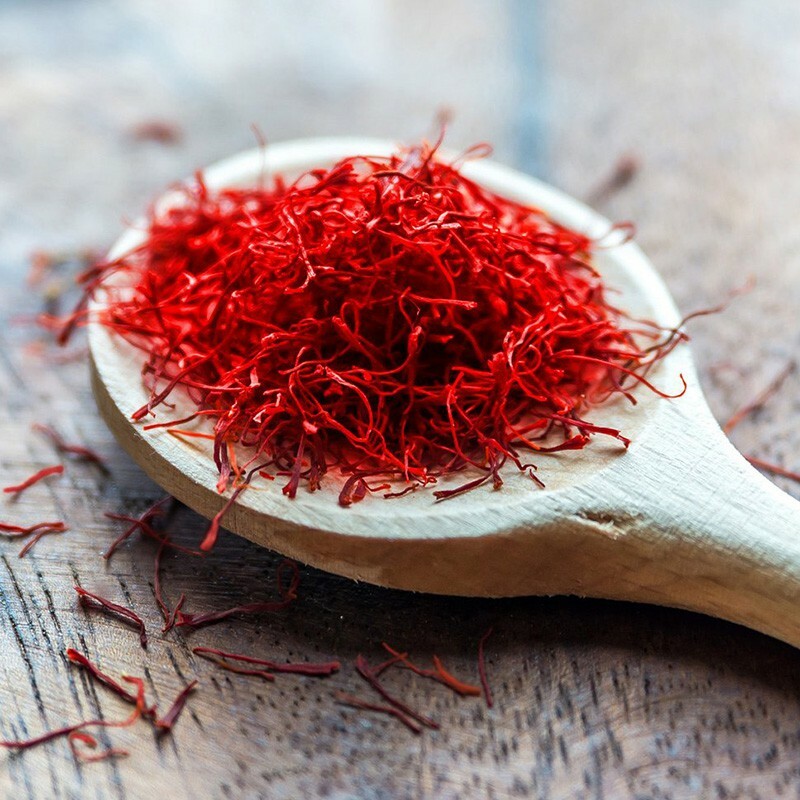 Other volatile oils in saffron are cineole, phenethenol, pinene, borneol, geraniol, limonene, p-cymene, linalool, terpinen-4-oil, etc. This colourful spice has many non-volatile active components the most important of them is a-crocin, a carotenoid compound, which gives the stigmas their characteristic golden-yellow colour. It also contains other carotenoids, including zea-xanthin, lycopene, a- and 6-carotenes. These are important antioxidants that help protect the human body from oxidant-induced stress, cancers, infections and acts as immune modulators. 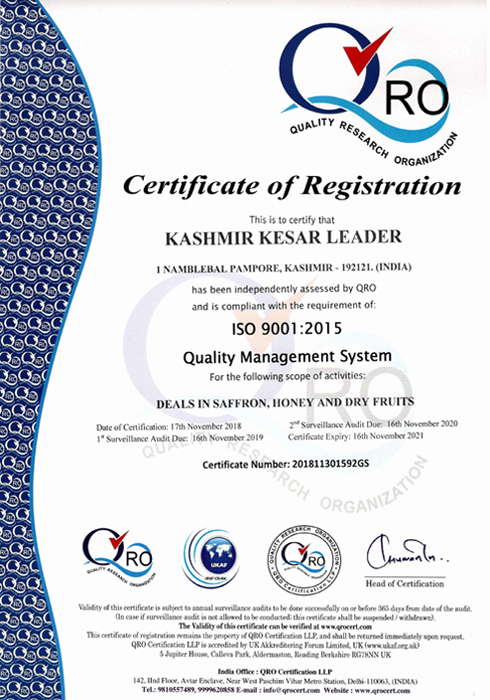 Saffron is considered as a blood purifier and increase the oxygen content of blood. It is also used as Cardiac Tonic and helps in treating diseases those results from Vitiation of blood. Saffron kills bacteria, making it ideal for treating acne. Also, because of its anti-bacterial and exfoliating properties it helps in creating brighter and clearer complexion. Saffron protects brain cells by which brain strokes are avoided. Saffron helps in keeping cholesterol level in control. 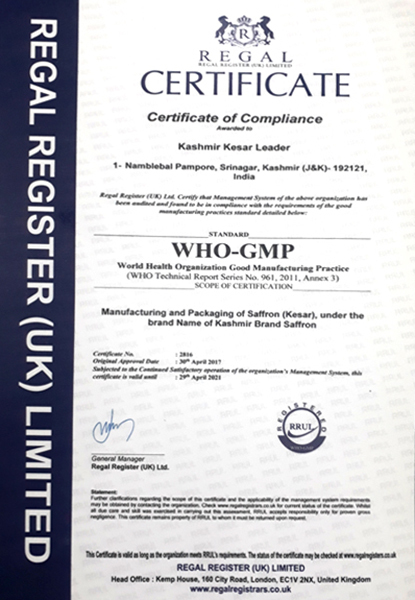 Saffron is the best blood purifier herbal product in the World, regular uses of saffron keep your skin healthy and glow. 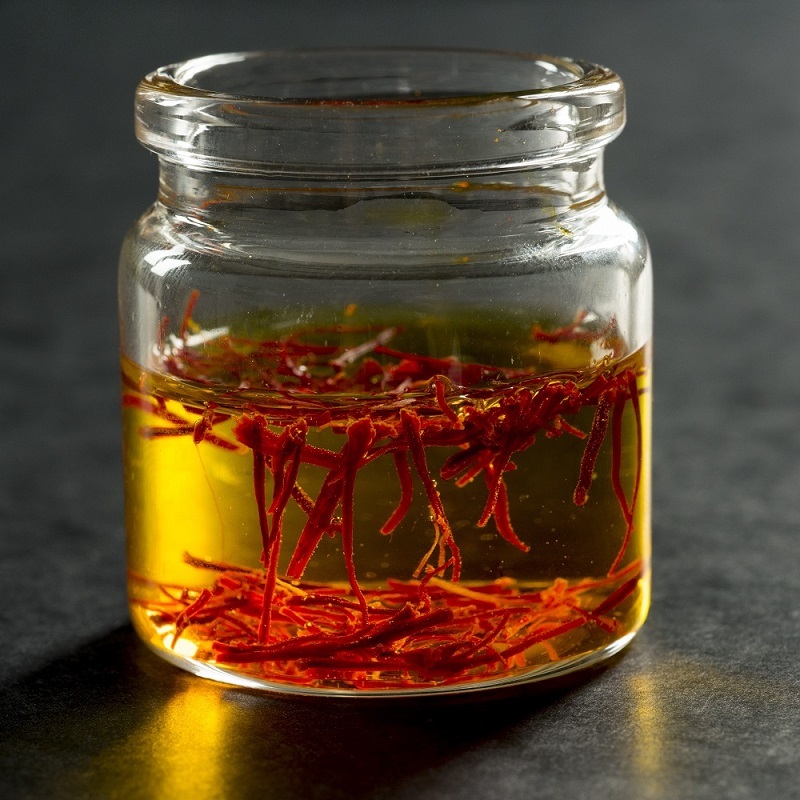 According to Ayurvedic medicine, saffron is one of the most effective skin lightning agents.